Boy – dieting sure would be a lot more fun if I didn’t have to feel like I had been banished from every delicious, mouthwatering morsel of junk food I’ve ever known! I mean, I know that I can’t really complain too loudly because when push comes to pounds, I actually have been doing pretty well at losing weight this year for a change. Dropping a little over 20 pounds in five months without even having to cut a limb off or anything does seem like quite the accomplishment when you consider just how many years prior I’ve spent finding pounds as opposed to the more obvious goal of trying to lose them! And yet despite such unprecedented (and frankly unexpected!) success, I still can’t help but catch myself occasionally mourning the loss of all those decadent indulgences that I used to love oh so dearly as afternoon snacks and late night desserts and even the occasional all-night, junk food extravaganza where my Friday nights were spent going through a large pizza, a mountain of Dr. Pepper cans, and a stack of video games, and I’d still manage to wake up feeling fantastic sometime the next afternoon! Potato Chips – “Nobody can eat just one…”?! Not when you sell them in “snack size,” “family size,” and “jumbo size!,” we can’t! If there’s one thing I’ve learned – avoid anything labeled jumbo, lest ye want to eventually earn that title yourself! 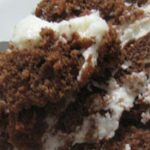 Pretty Much Anything from the Dessert Case at the Bakery – It doesn’t take a dietary nutritional specialist to realize that when you can taste the sugar in that fudge frosting from two aisles over, it’s time to take a deep breath and just walk away. Specifically, that part of me will be my stomach, and possibly also the various tastebuds that are dedicated to savoring deliciousness amidst a sea of sugary calories. This ginormous belly that has been used to lug all of those excess treats around over the past 7 or 8 years, on the other hand … maybe not so much!